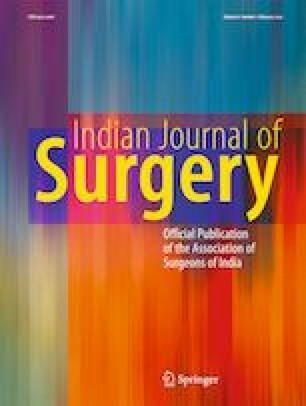 The objective of this study was to compare the outcome of cutting diathermy incisions versus surgical scalpel incisions in three different sites of elective surgery. This study was a prospective observational study conducted at a tertiary care teaching hospital in Pune, India, over a period of 2 years from June 2014 to June 2016 including a 1-year follow-up period. Inclusion criteria were patients of both sexes who were admitted for elective surgeries of the thyroid, breast, and abdomen. Data including demographic details, infection rate, and cosmetic appearance were recorded in both groups to compare the final surgical outcome. A total of 135 patients were finally analyzed in the study. A total of 68 patients (group A) underwent operation via diathermy skin incision and 67 patients (group B) underwent operation via scalpel skin incision. In diathermy (group A), a total 18% (n = 12) patients developed complications and in scalpel (group B), a total 21% (n = 14) patients developed complications (chi-square = 2.386, p value = 0.801). In diathermy (group A), 56 cases (82%) had excellent scar, 12 cases (17%) had fair scar, and 1 case (1.5%) had poor scar. In scalpel group (group B), 53 cases (79%) had excellent scar, 12 cases (18%) had fair scar, and 2 cases (3%) developed poor scar (f = 2.56, p = 0.112). No significant difference was noted in wound healing and the rate of wound complication in skin incision made by cutting diathermy as compared to the conventional scalpel skin incision in our present study. We also conclude that there is no difference in cosmetic outcome in both groups after 1 year of follow-up.